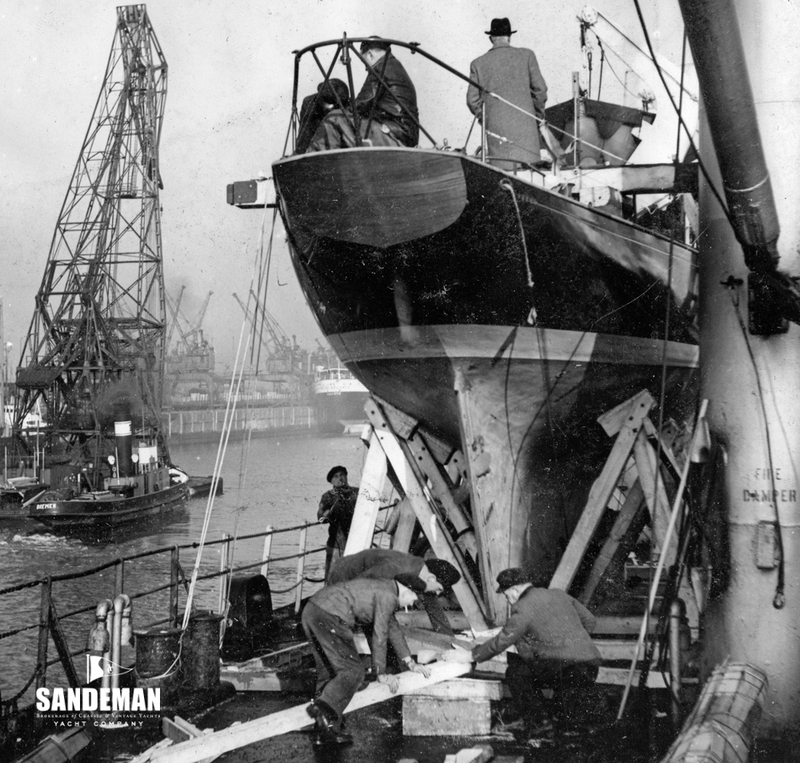 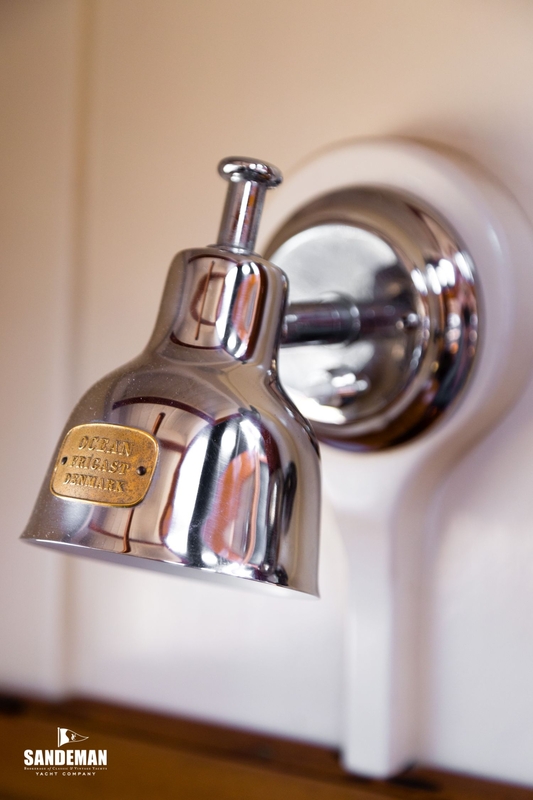 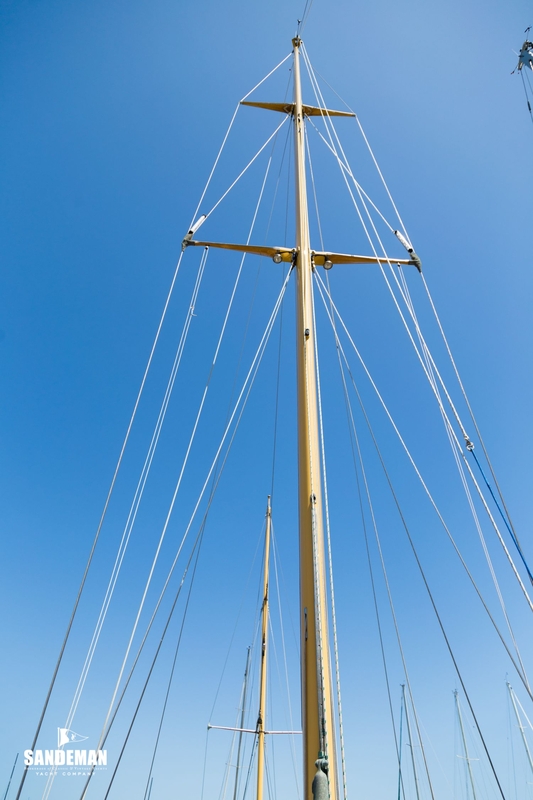 The Frisell family were sailors and moreover could afford to choose the best tool for the job. 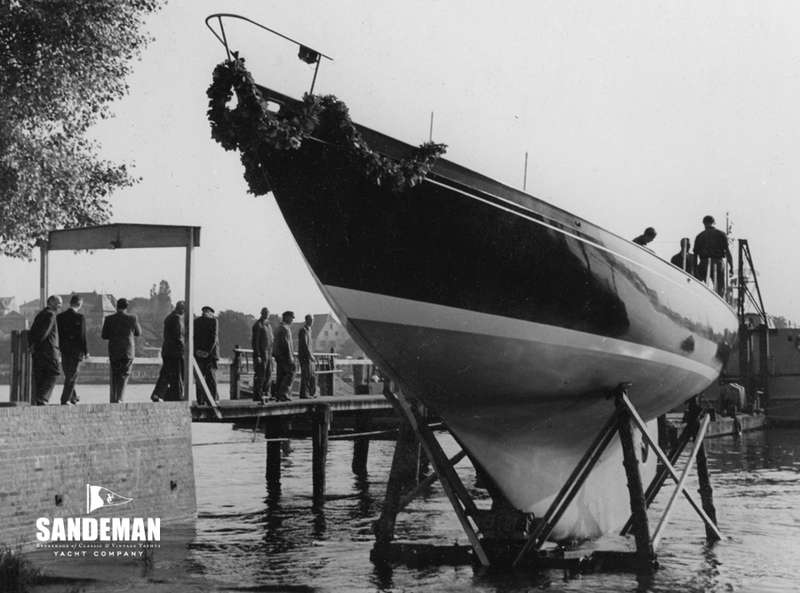 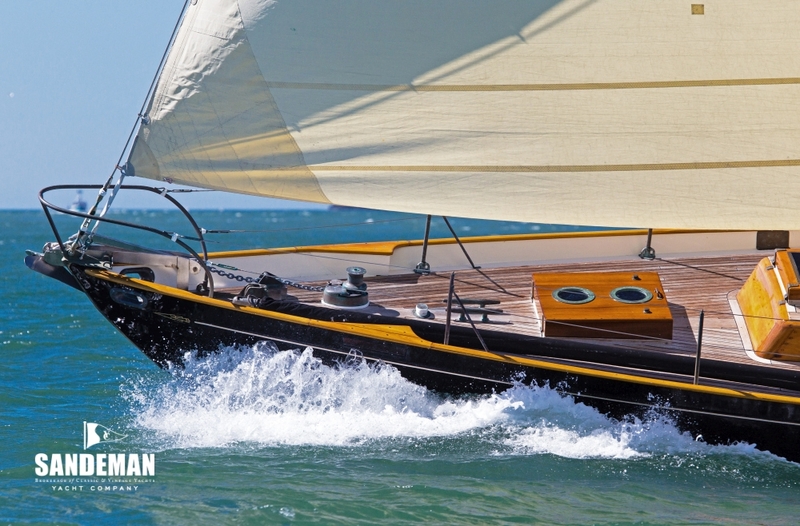 The name KAY is associated with some fine S&S designs and this boat now named LEGEND is no exception. 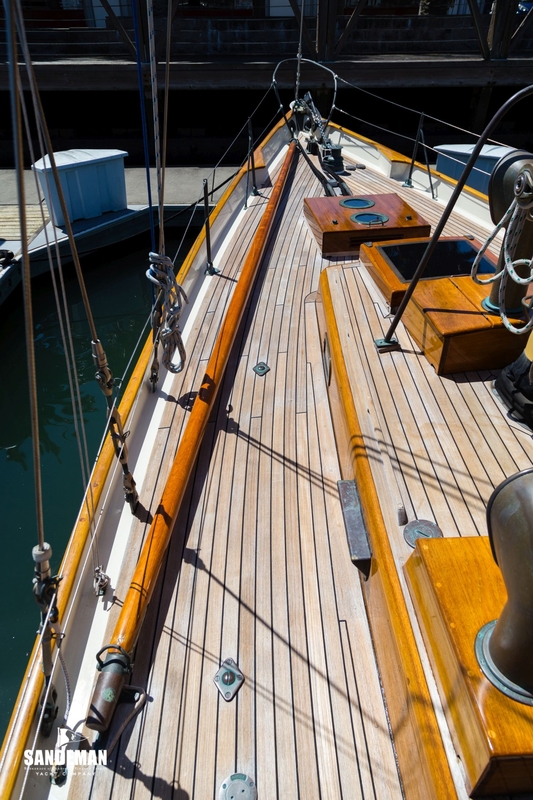 She has proved herself on the race courses over the years - and built by Abeking & Rasmussen she has that detailing that some of her sisters from lesser yards are lacking. 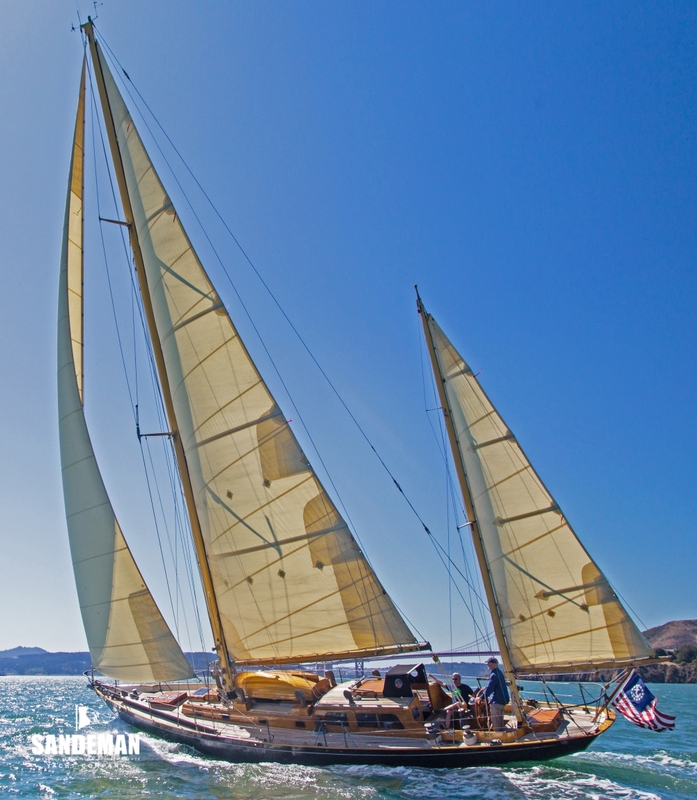 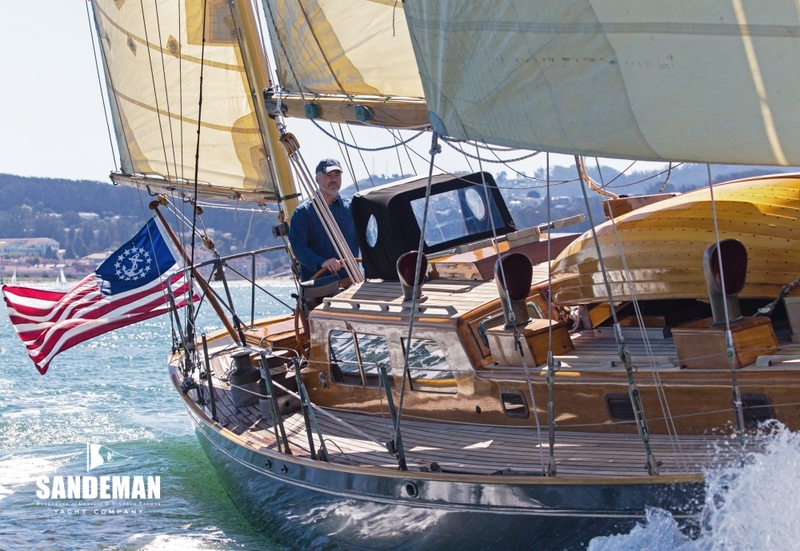 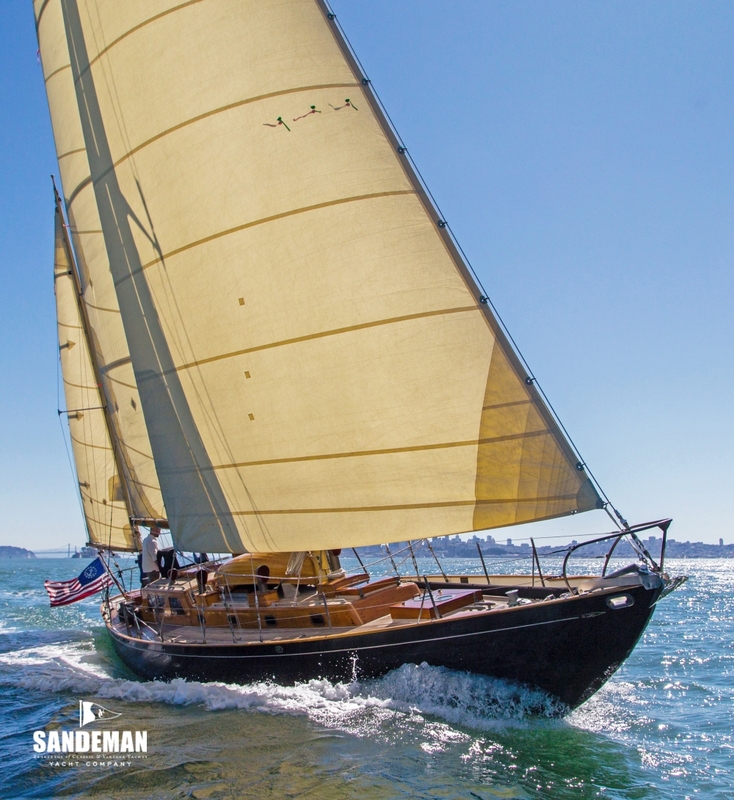 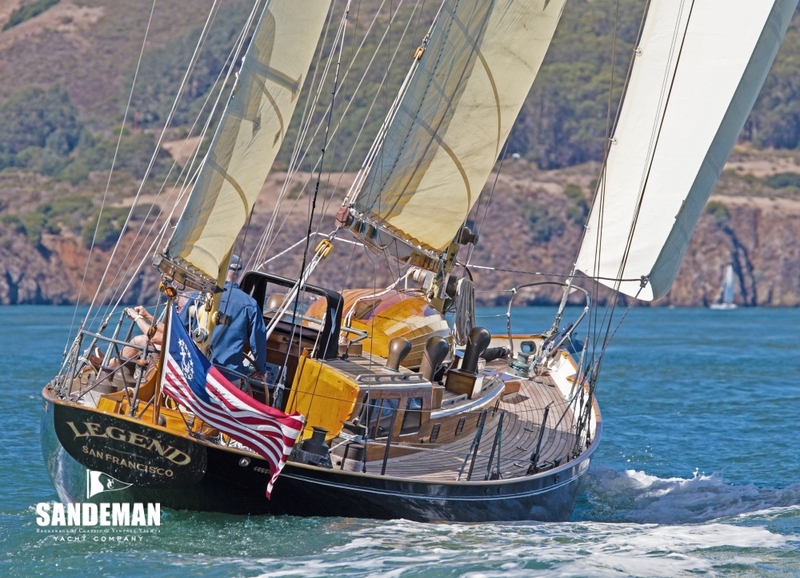 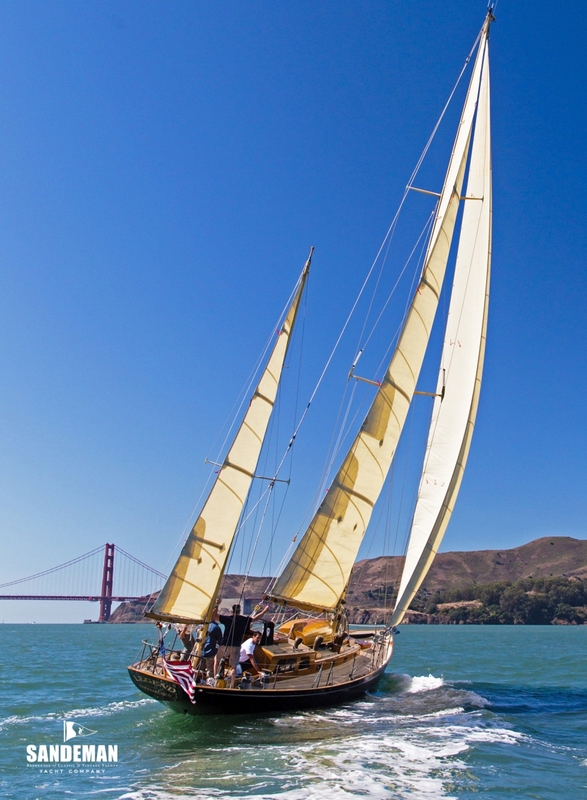 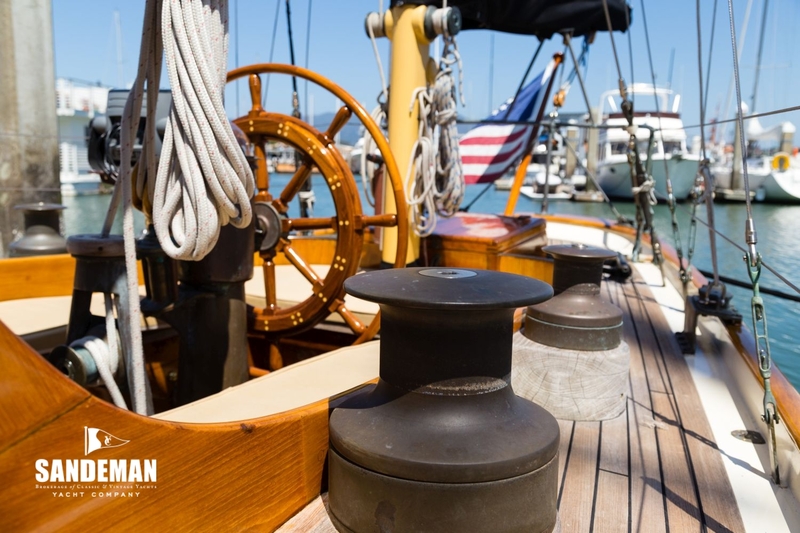 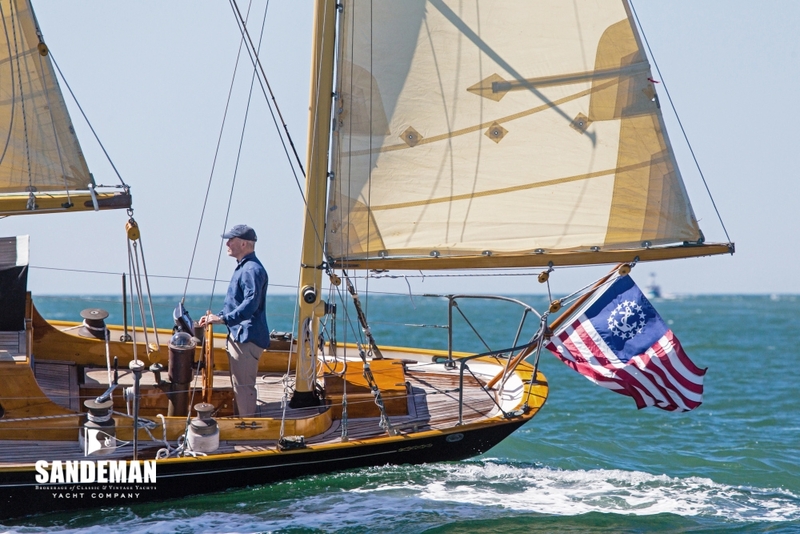 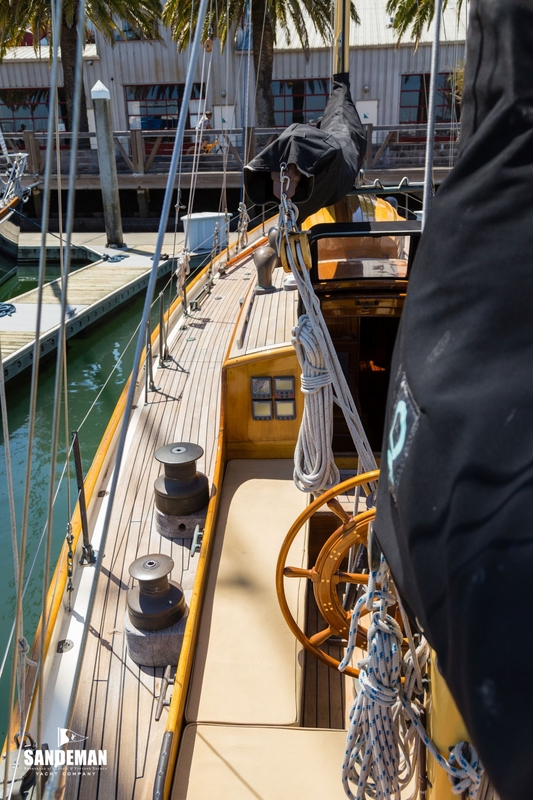 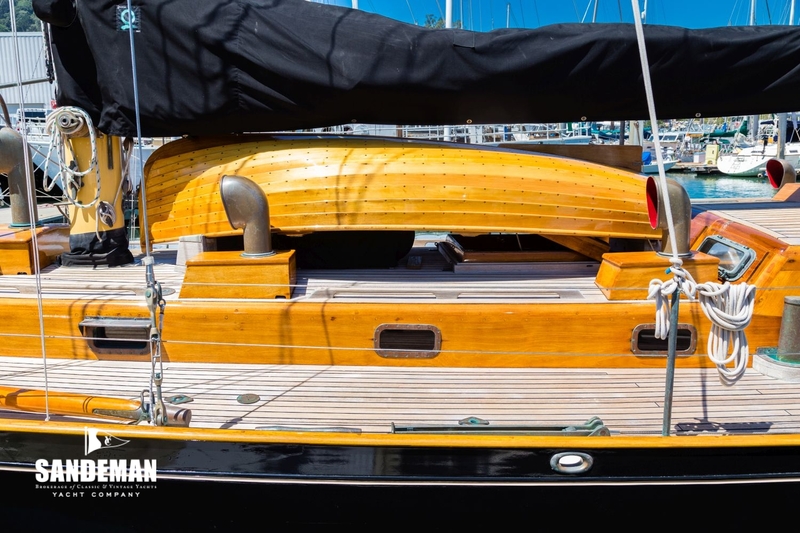 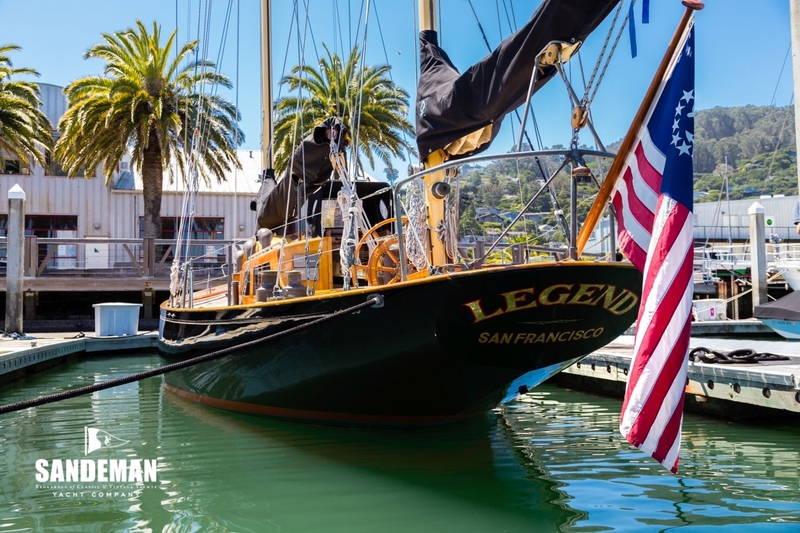 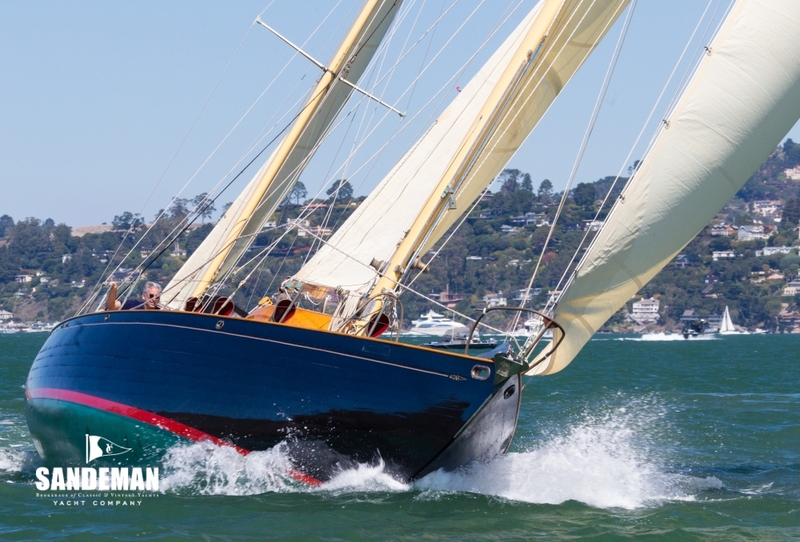 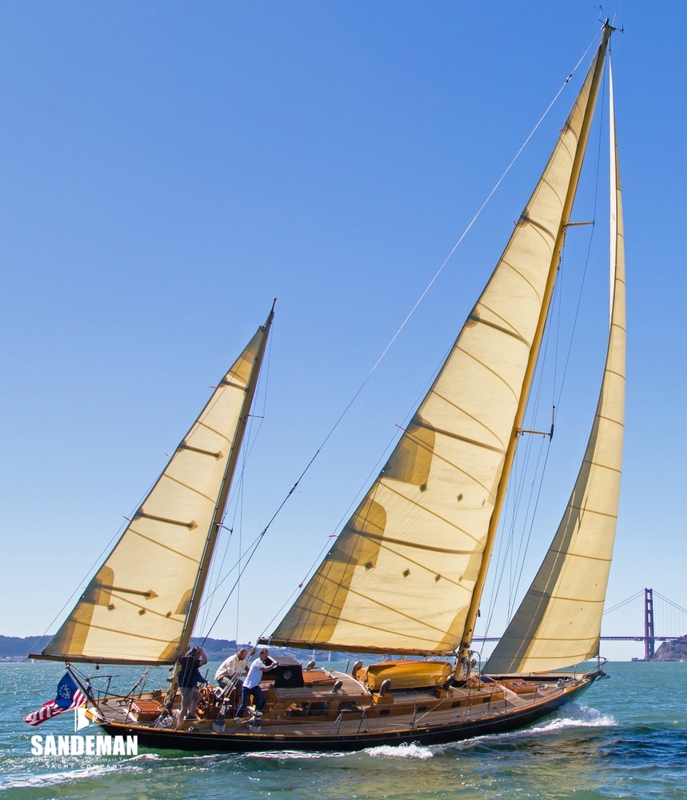 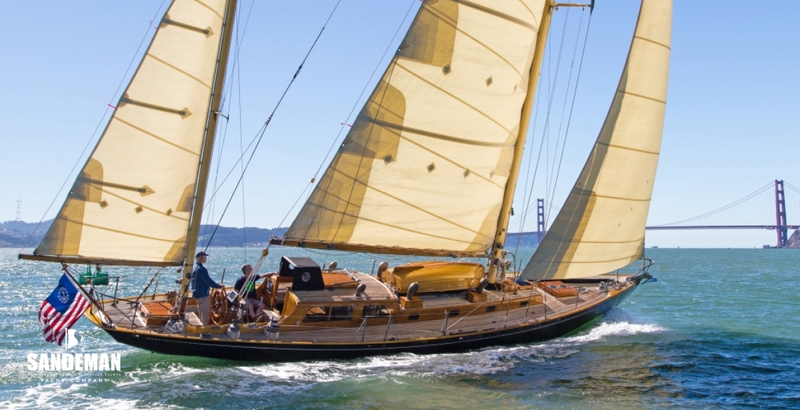 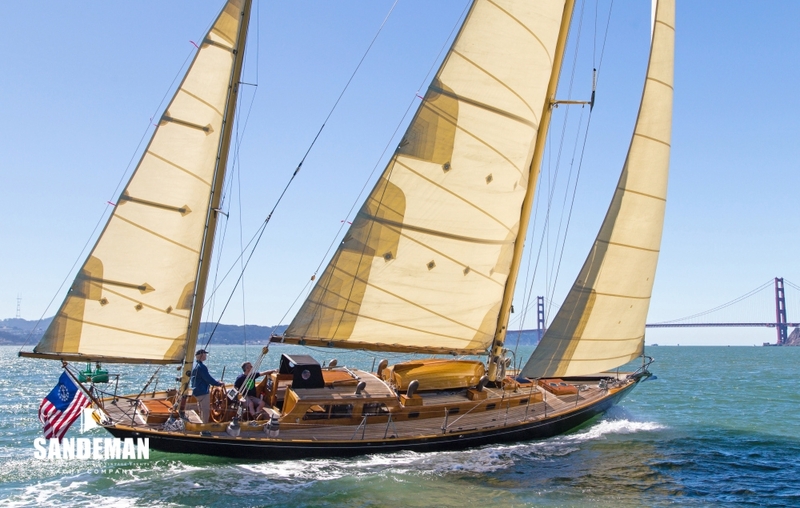 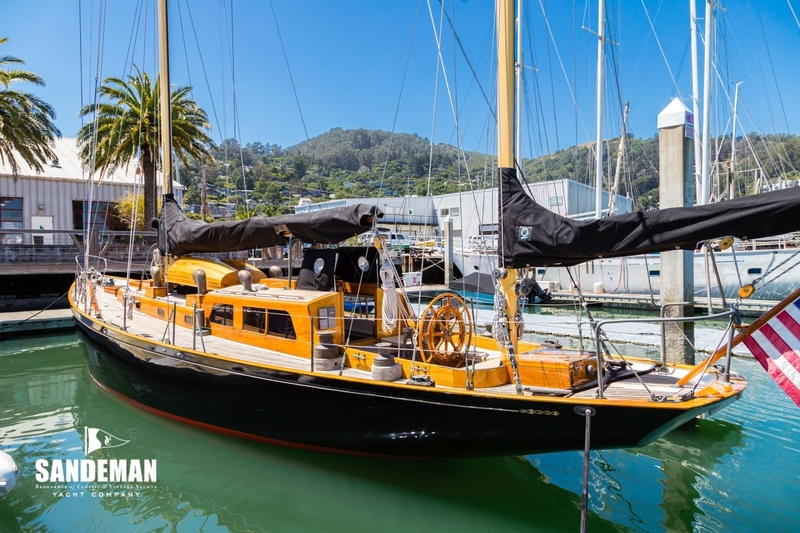 LEGEND presents now in impressive condition and this 53 ft S&S yawl for classic racing and family cruising is no compromise. 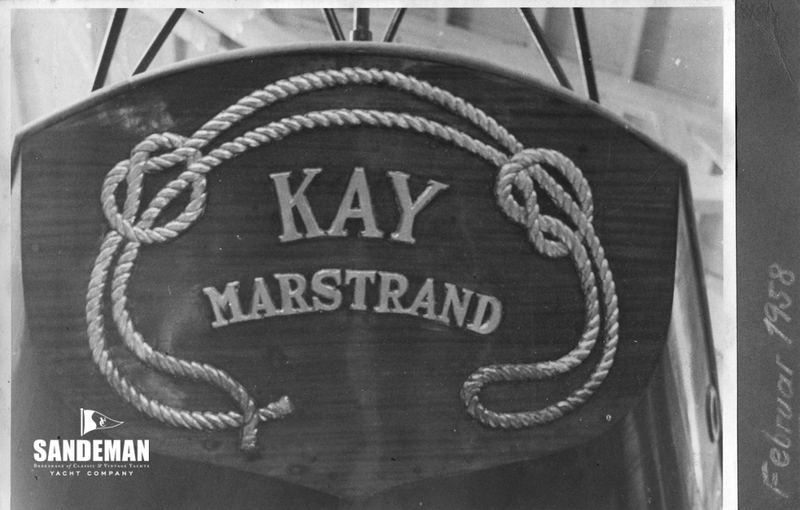 A yachting press article in the year of her launch in 1954 reads: “KAY is a yacht of international pedigree, designed by Sparkman & Stephens New York....built this year by Abeking & Rasmussen in Germany and owned by Sven Frisell of London..........She appropriately enough won a race from England to La Coruna, Spain in one of her first competitive appearances. 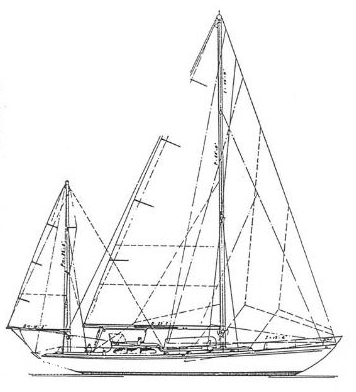 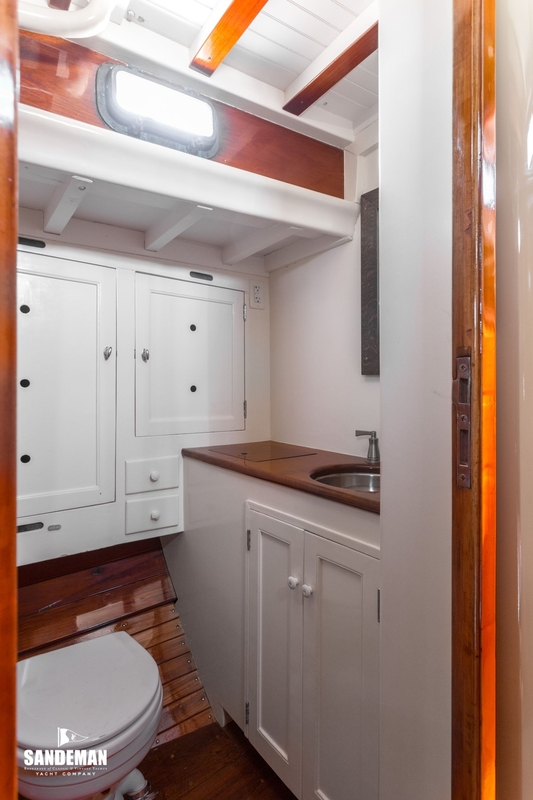 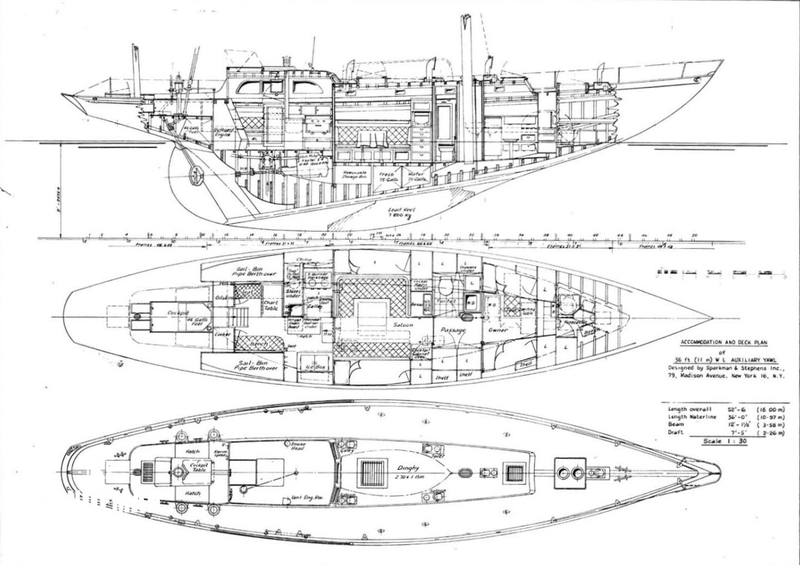 Details of the cabin plan represent a joint effort of the owner, designer and builder and provide for eight in the owner's party with a forward stateroom, large toilet and hanging lockers, built in and extension berths in the main cabin, a galley aft and two pipe and canvas quarter berths over the sail bins in the doghouse and a man forward. 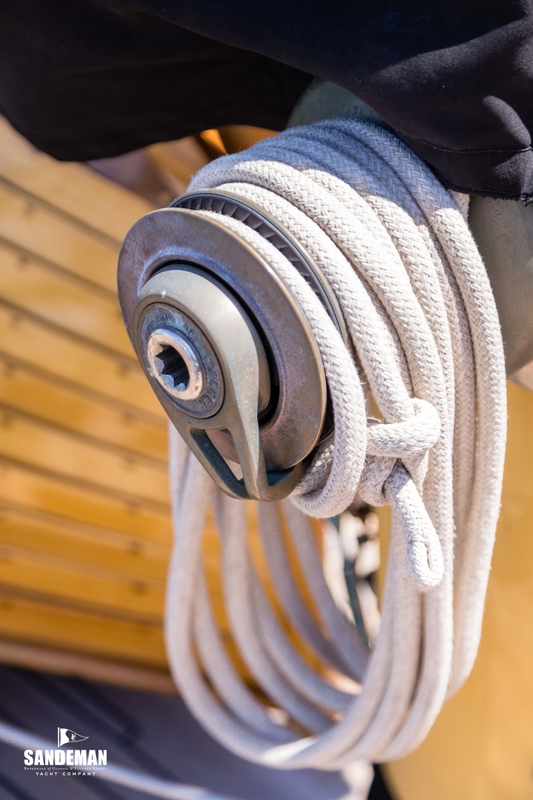 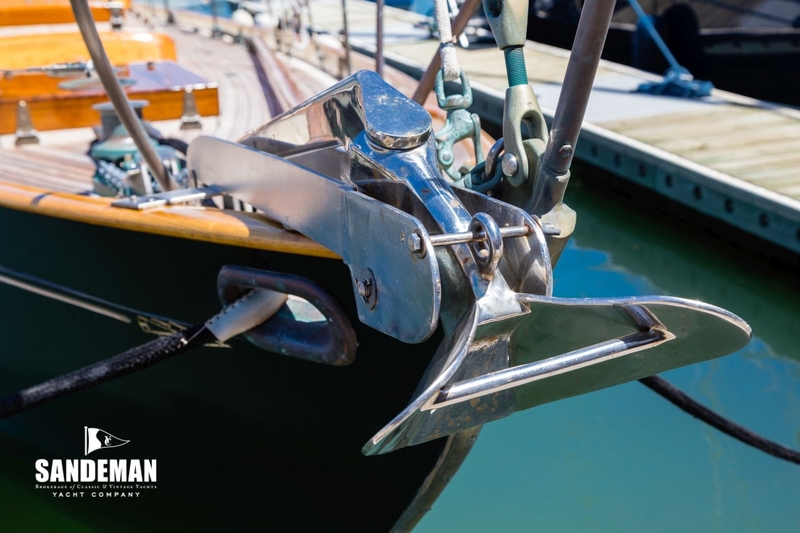 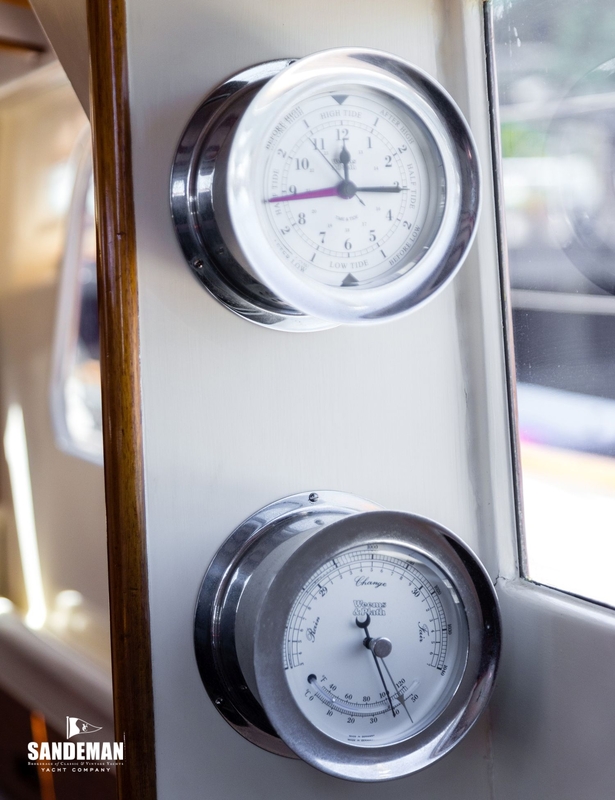 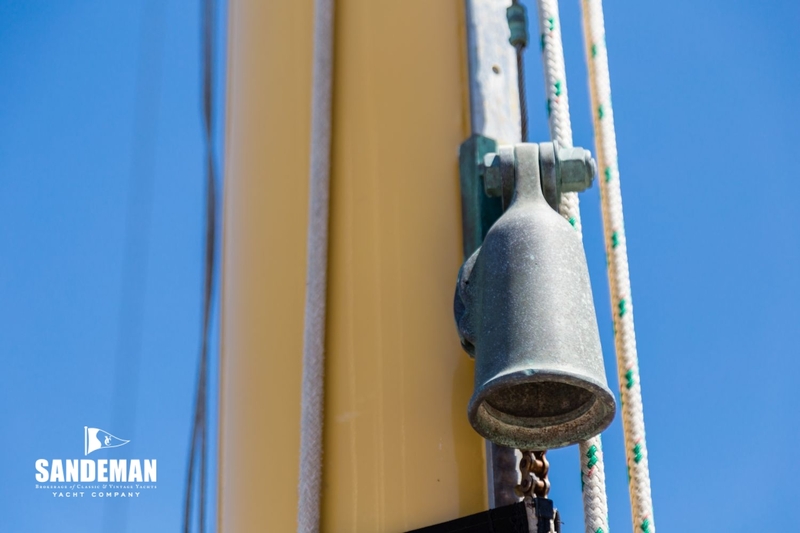 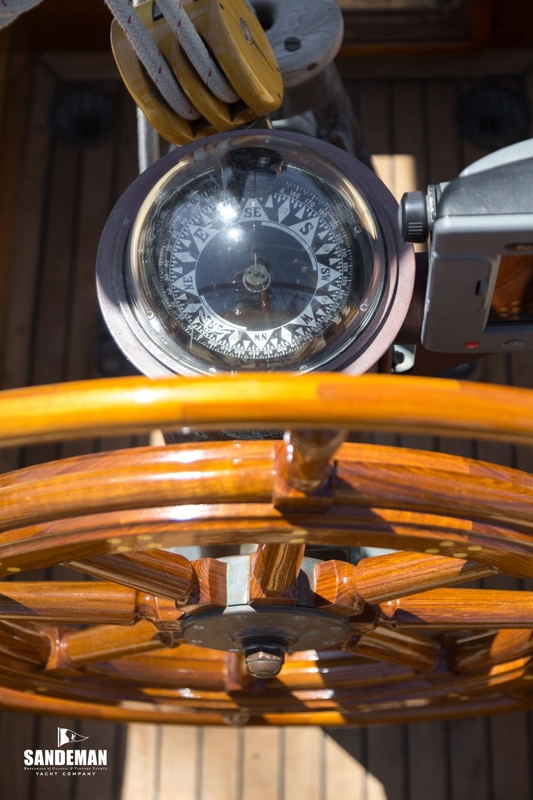 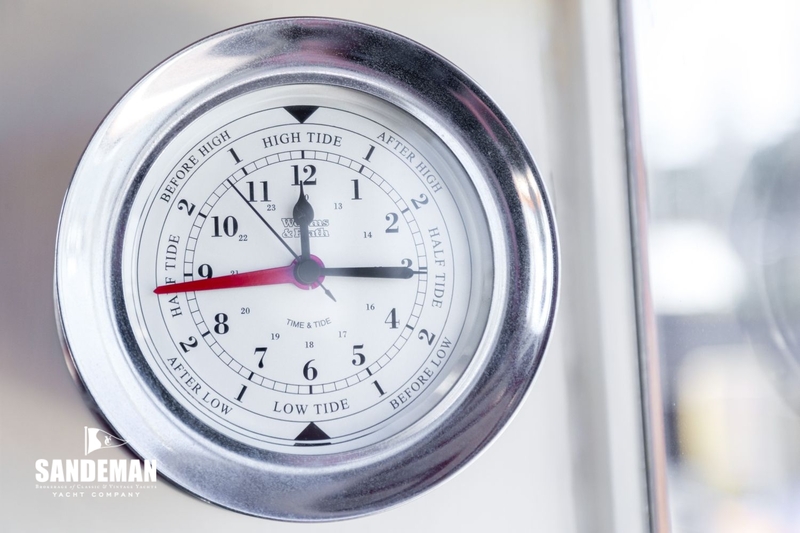 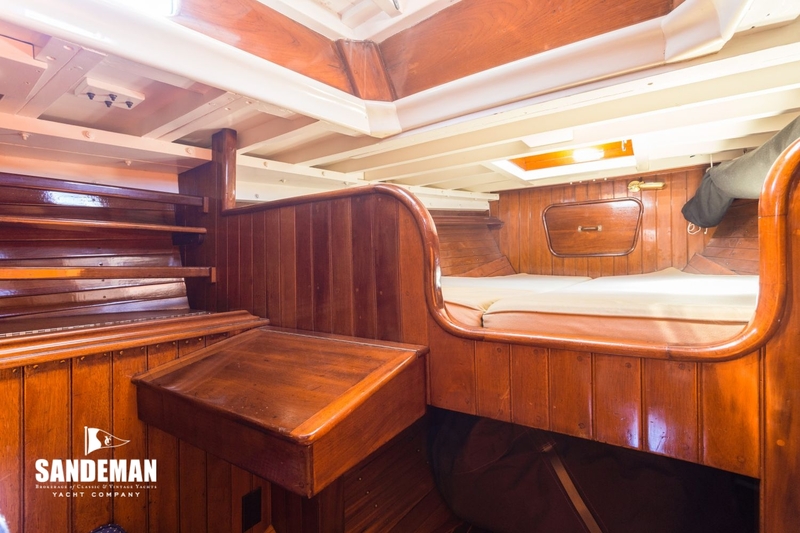 In hull dimensions and in her yawl rig with masthead fore triangle she is typical of Sparkman & Stephens designed ocean racers and her 15 hour corrected time margin of victory in the race to Spain testifies both to her speed and favourable RORC rating. 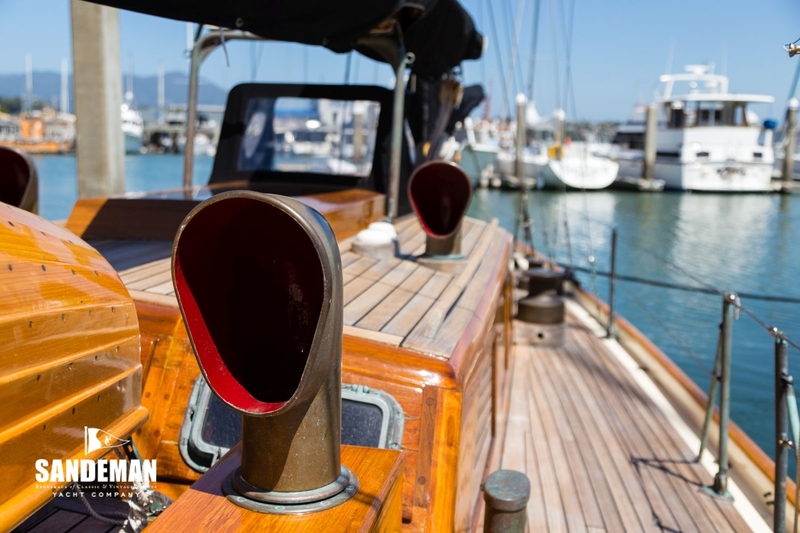 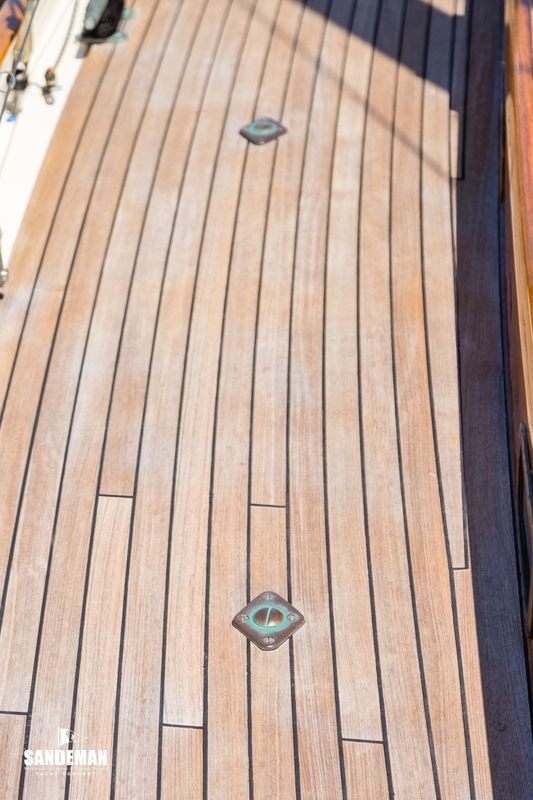 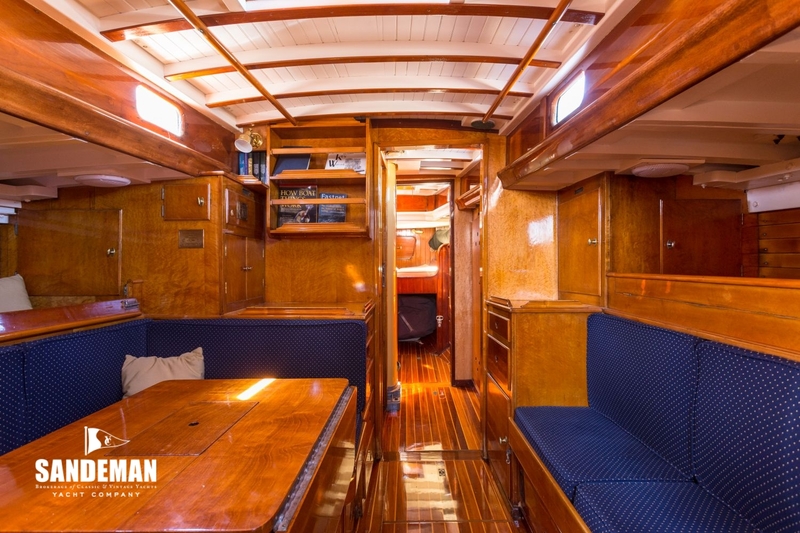 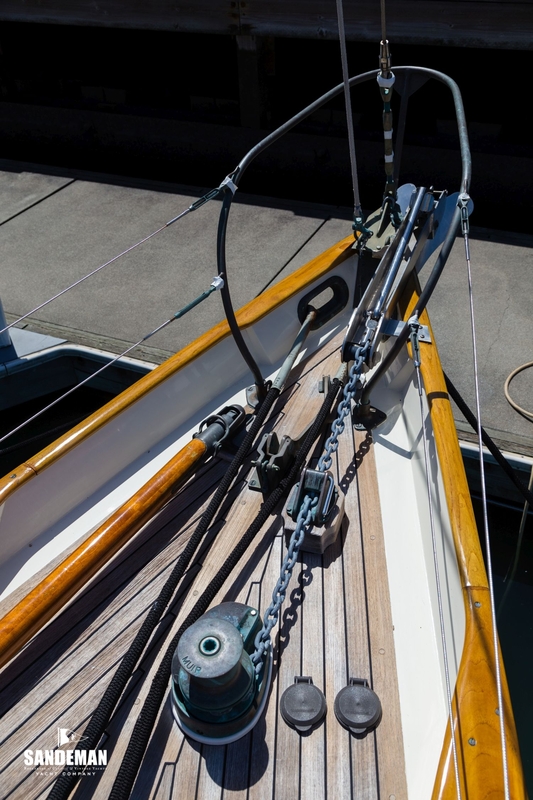 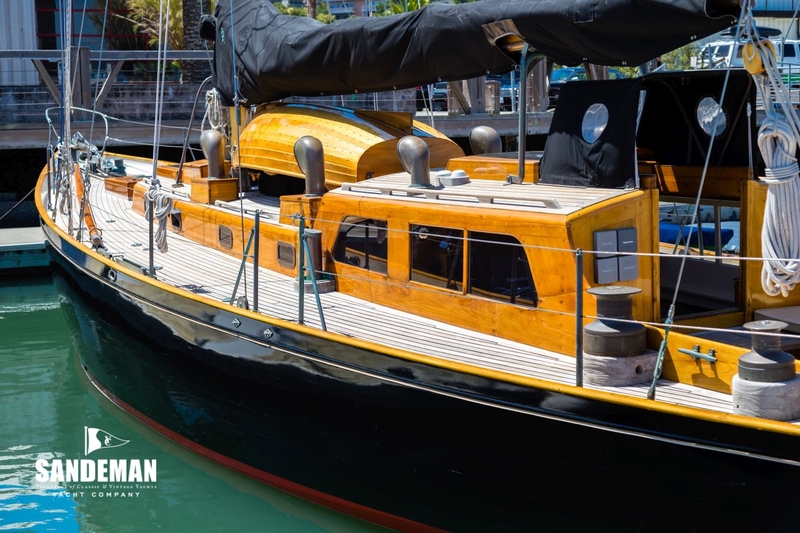 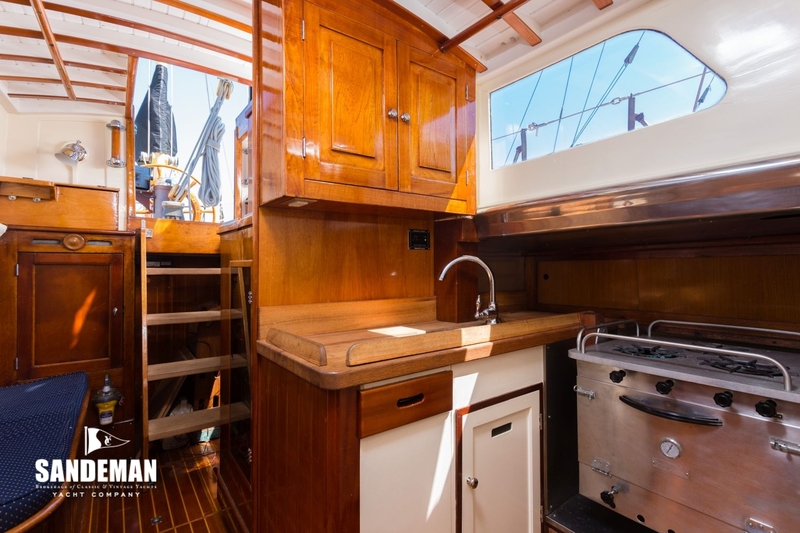 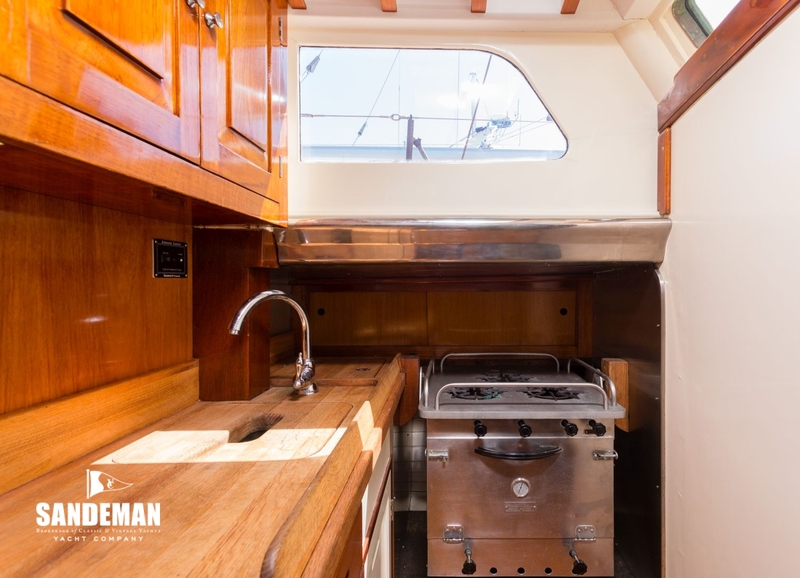 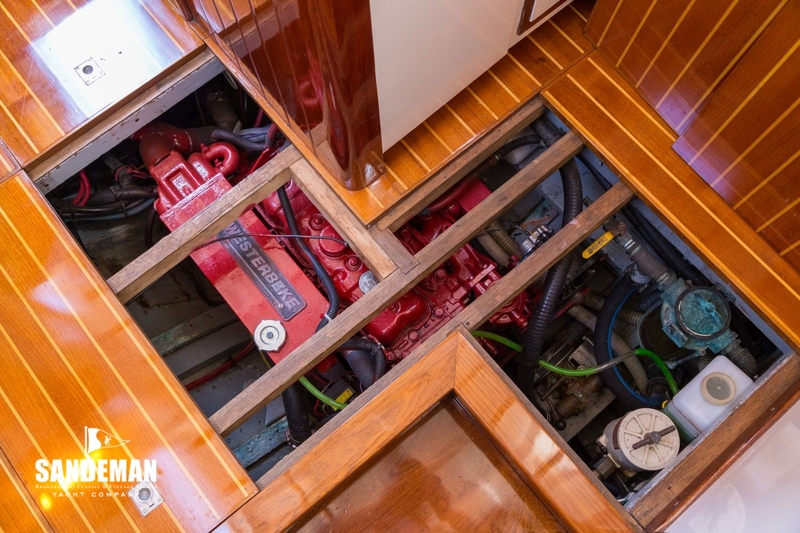 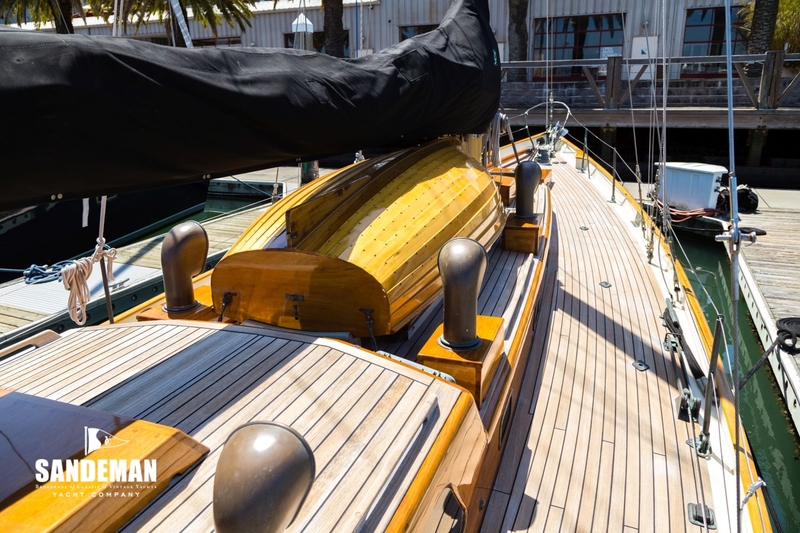 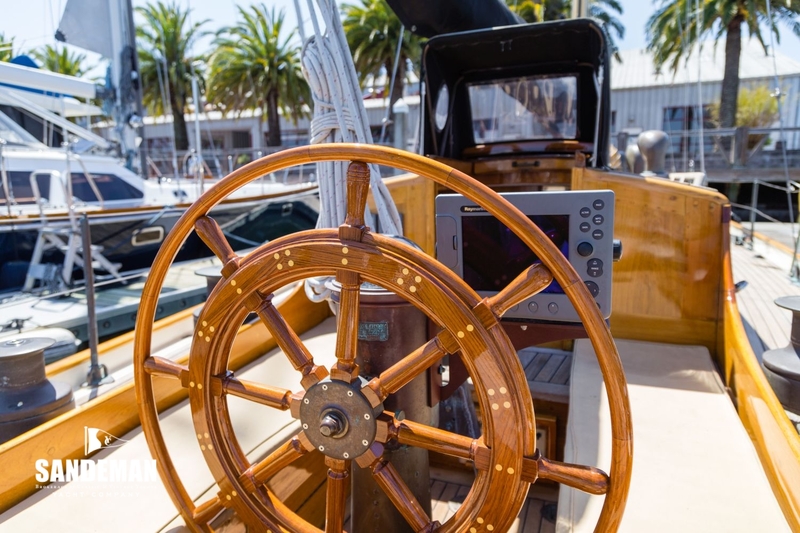 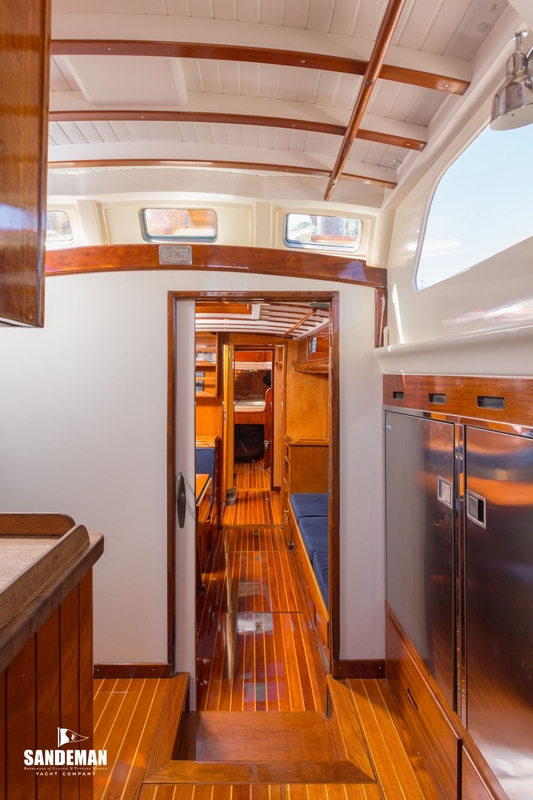 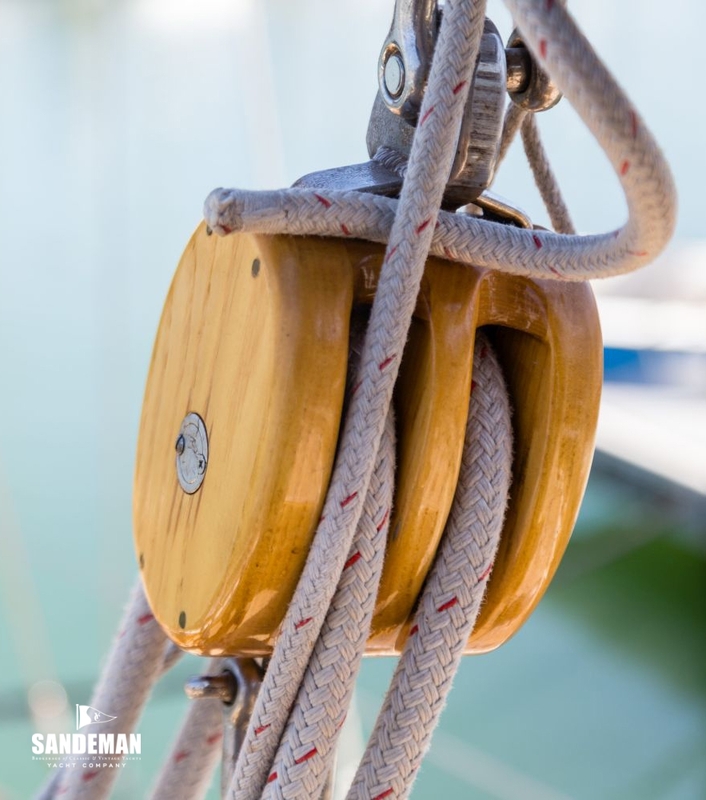 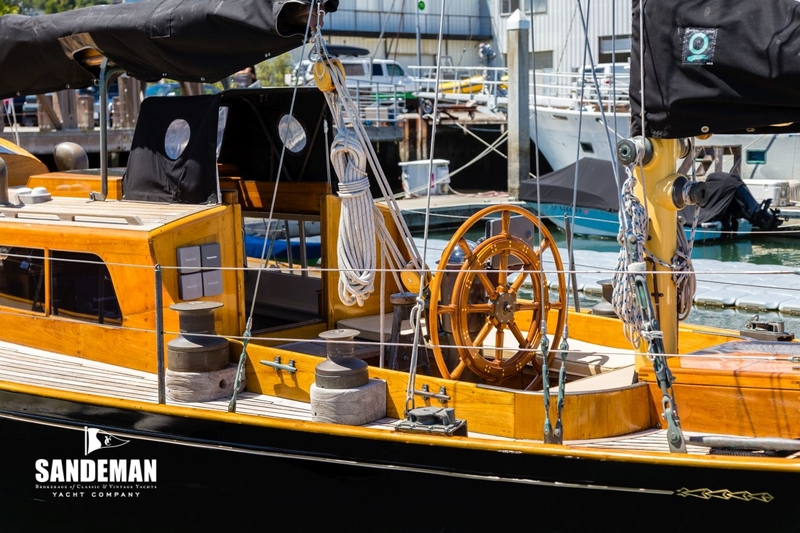 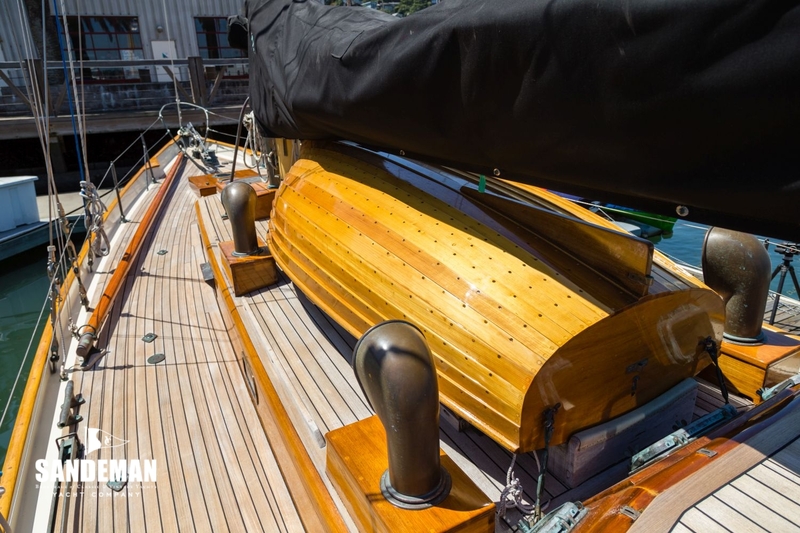 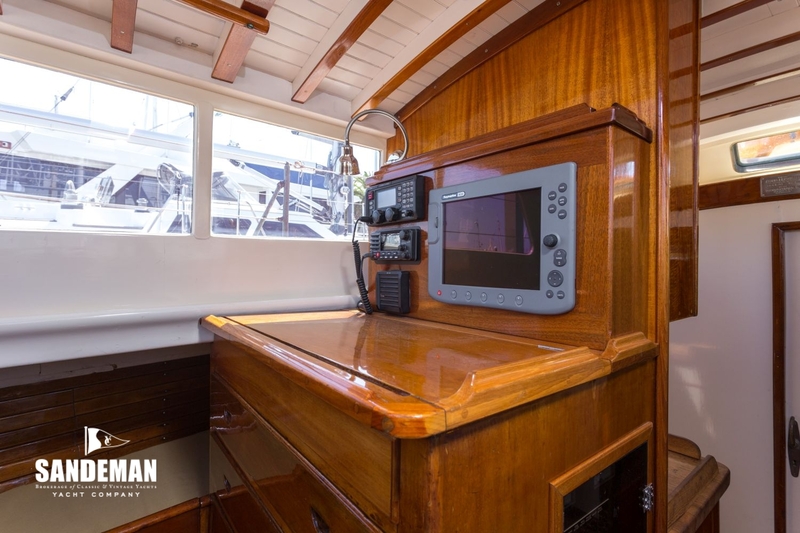 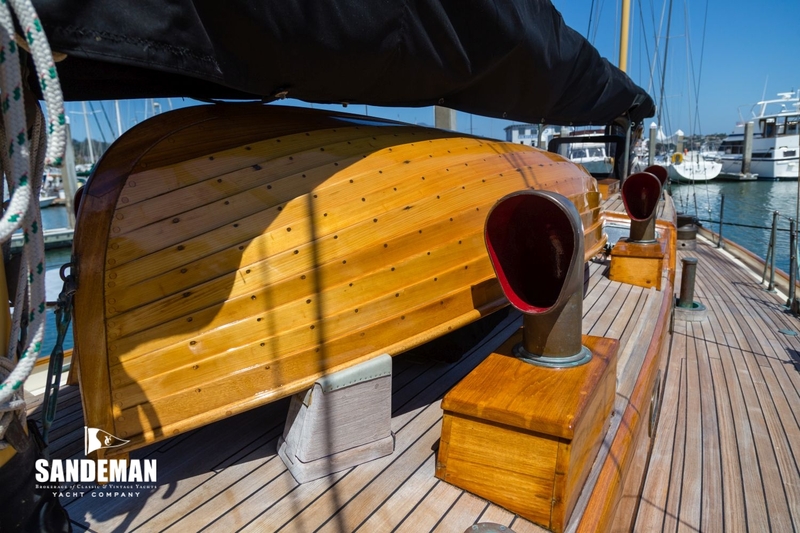 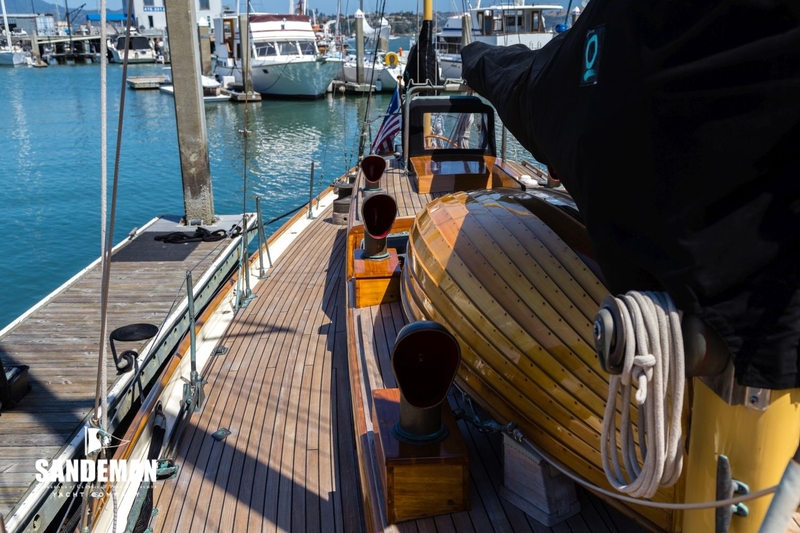 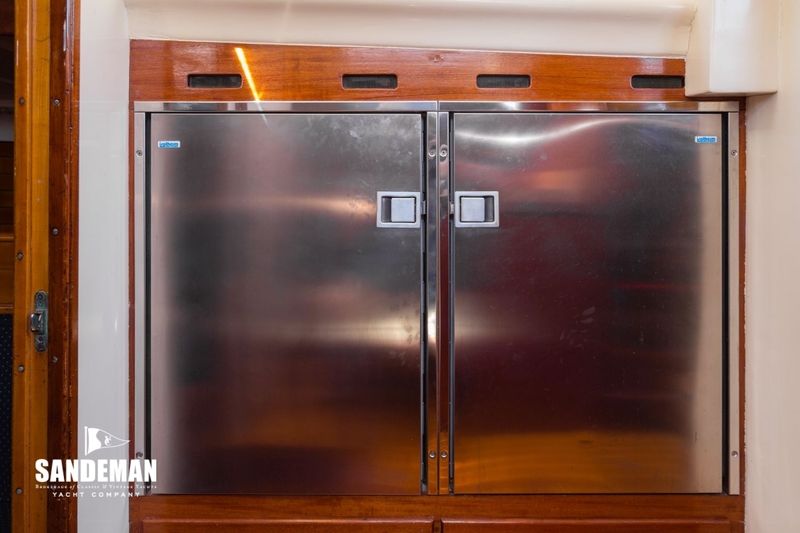 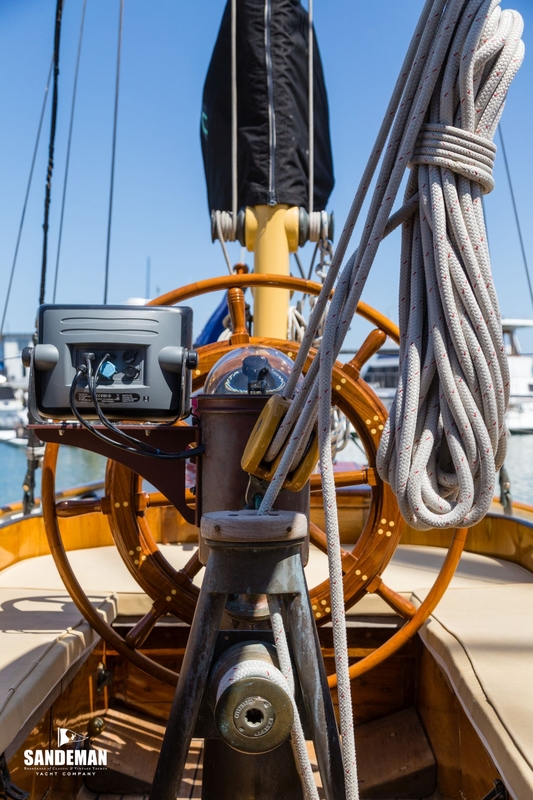 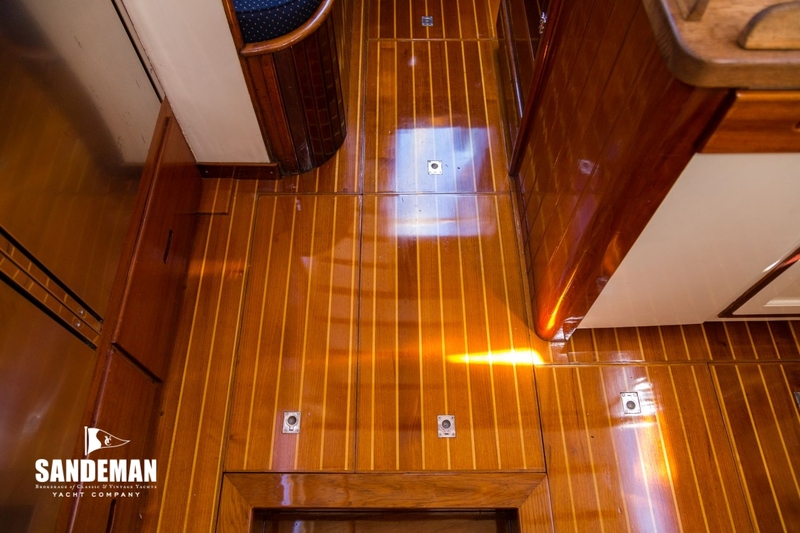 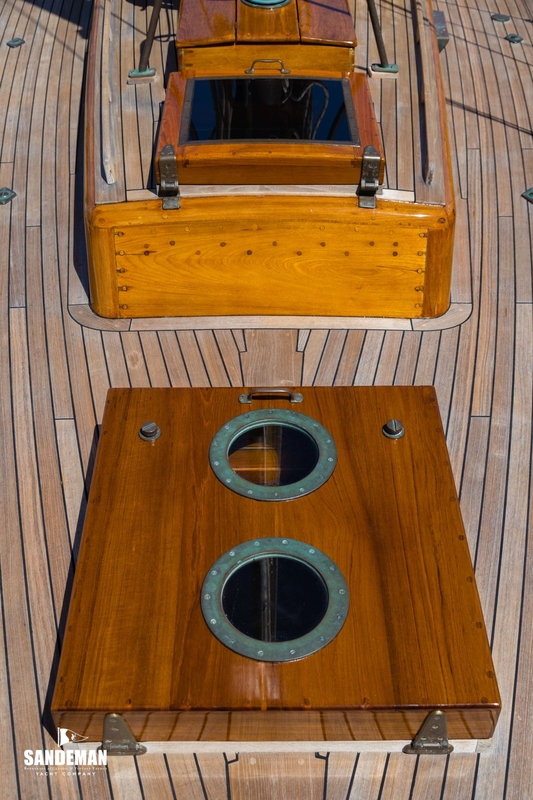 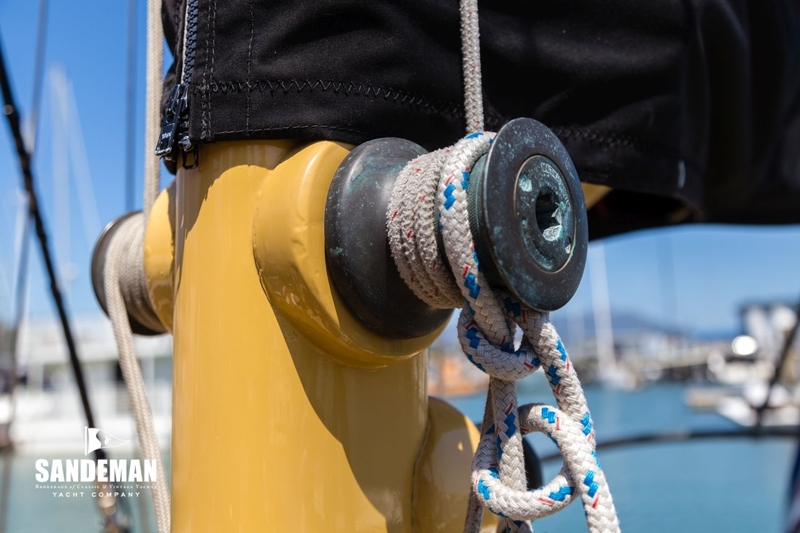 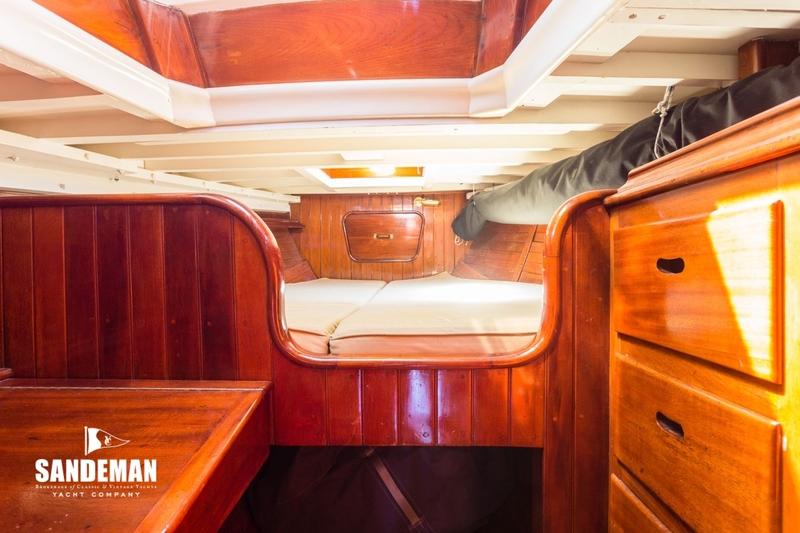 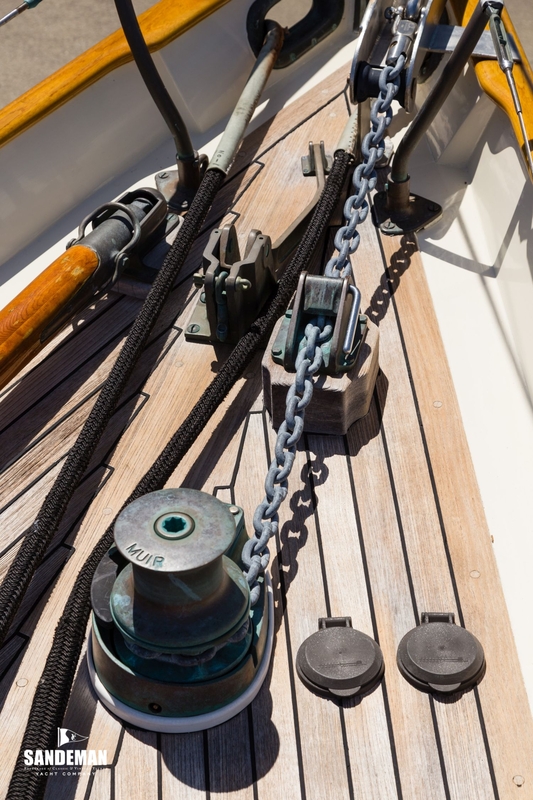 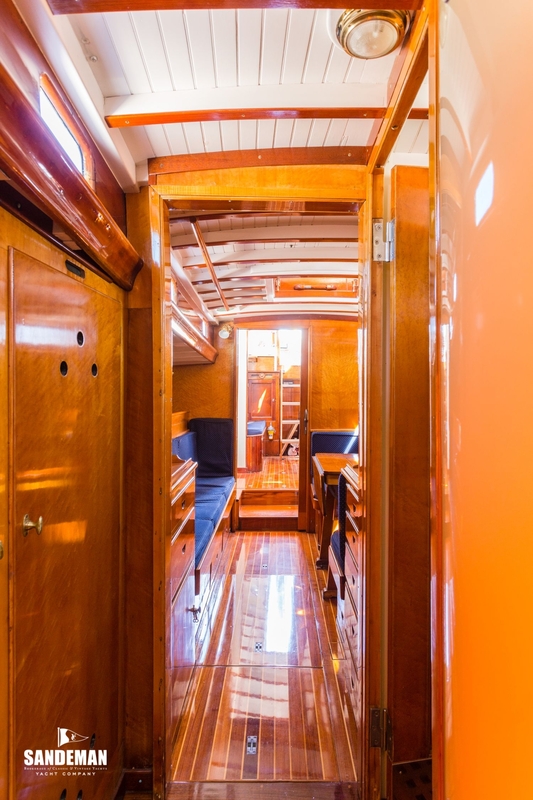 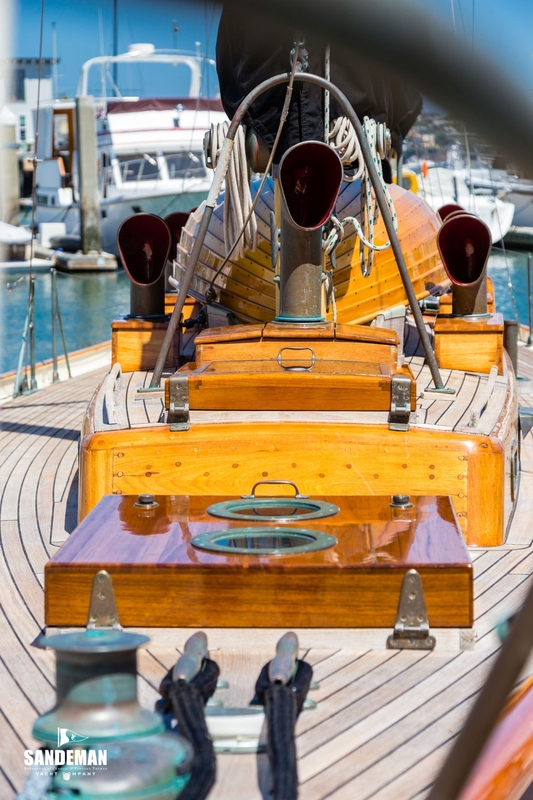 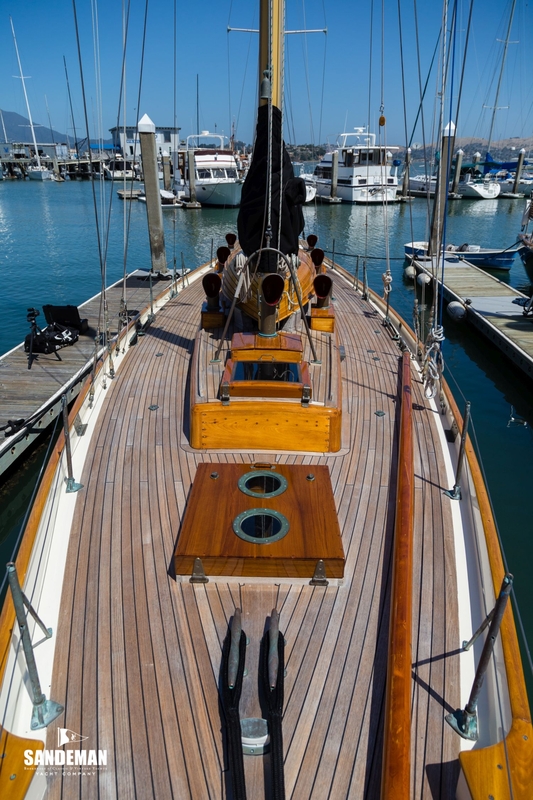 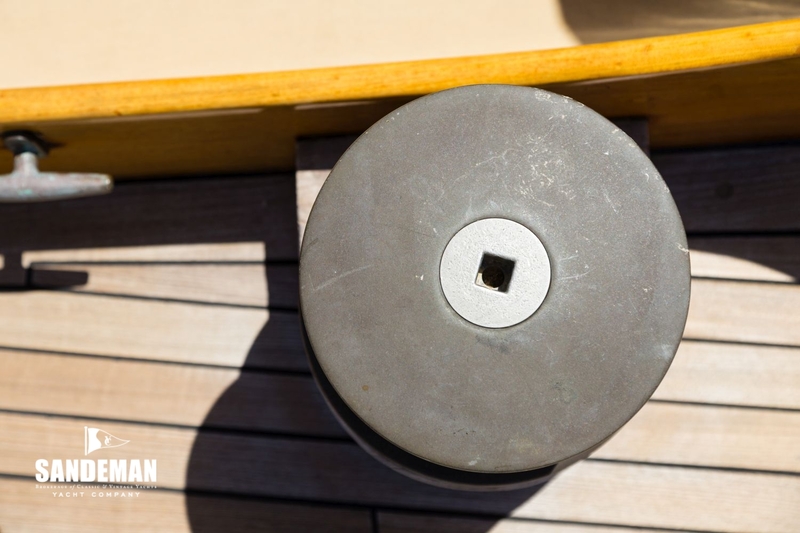 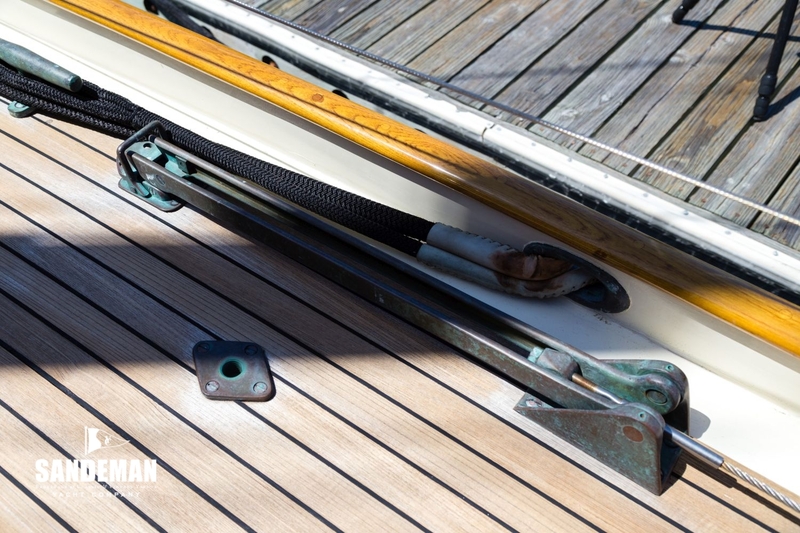 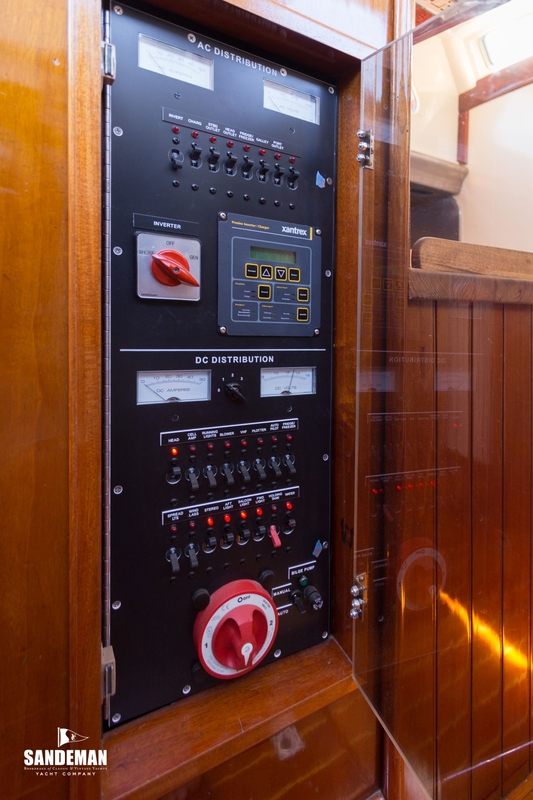 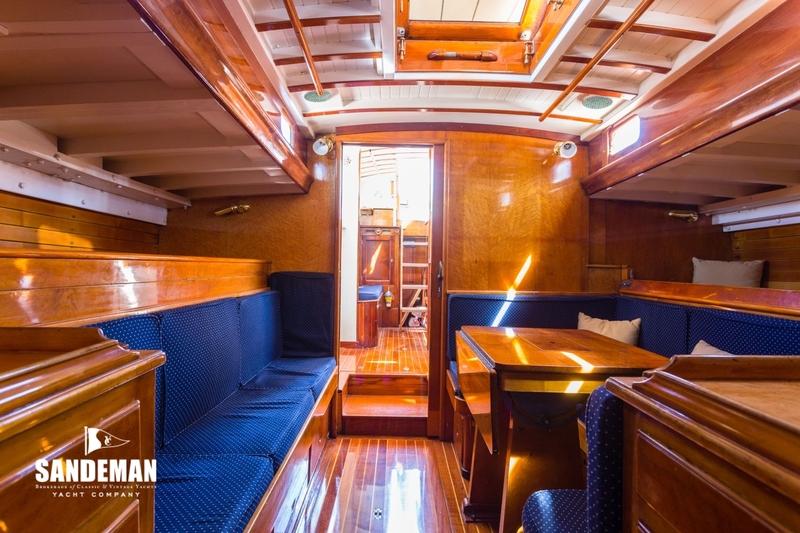 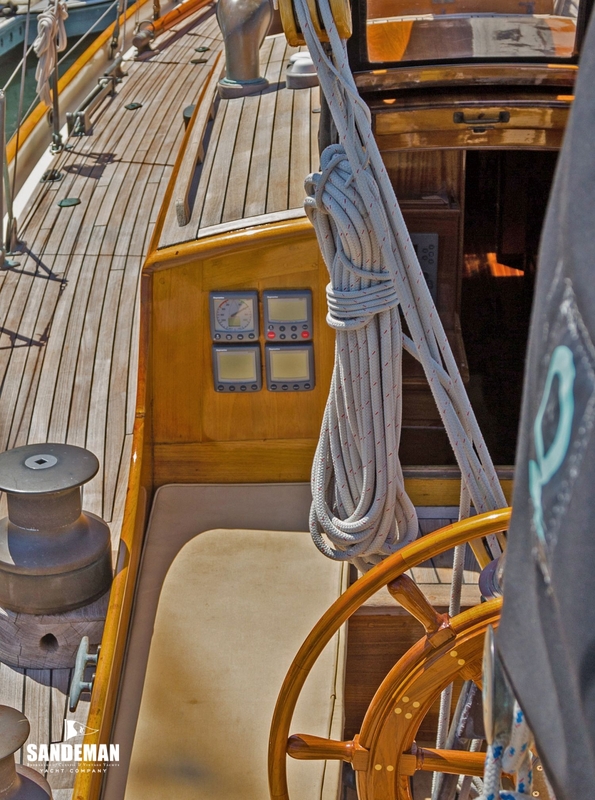 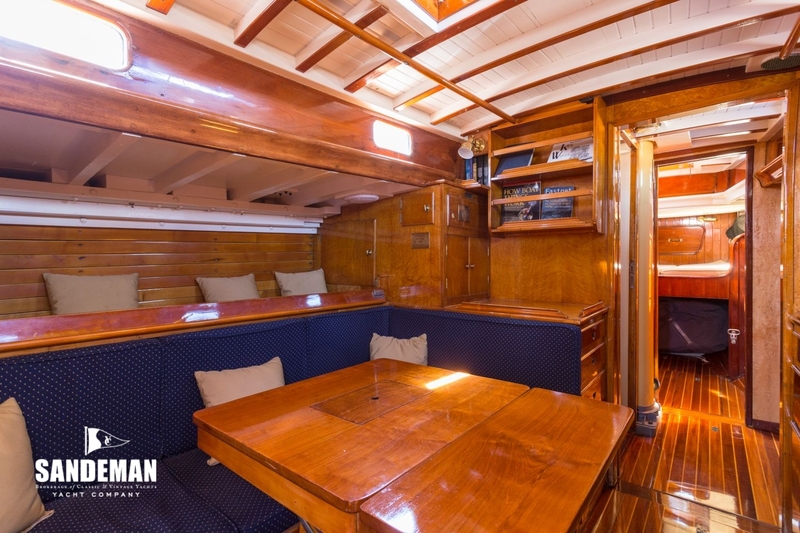 She is double planked with mahogany over frames with teak decks and bronze fastenings”. 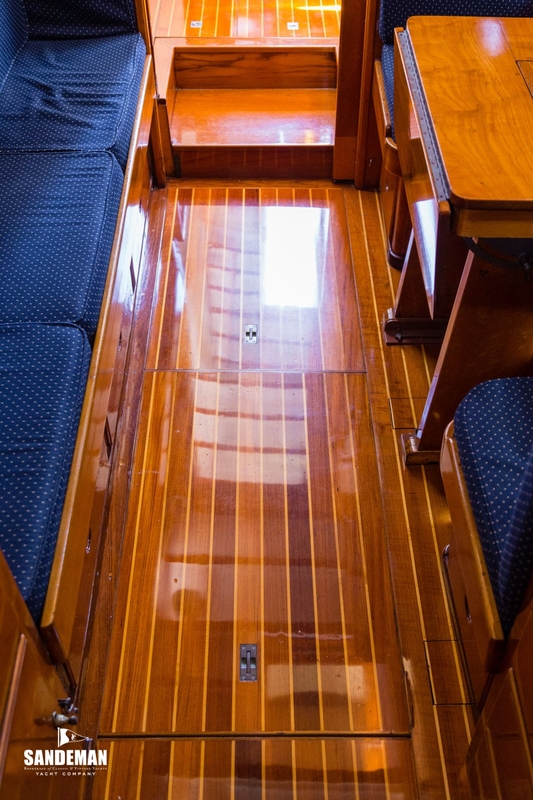 When purchased, much original bronze hardware, cleats, railings and pulpit were either missing or had been replaced with stainless. 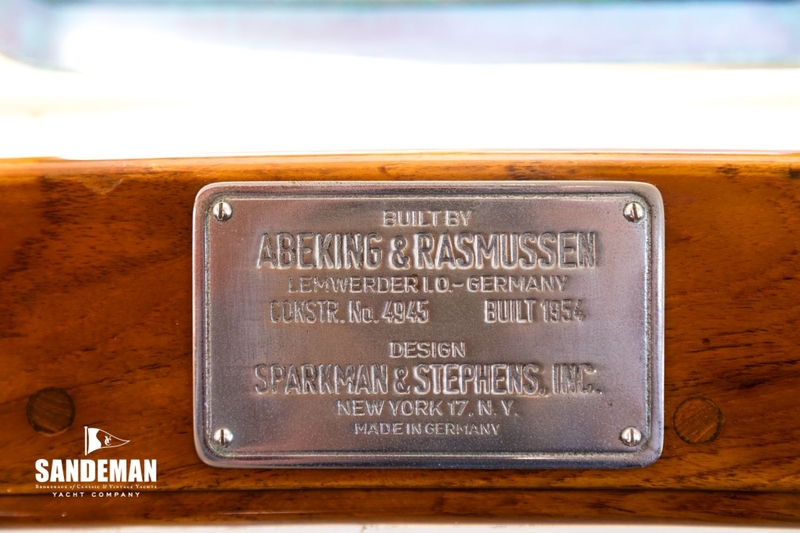 From 2009-2016 all of the stainless was removed and replaced with bronze as the originals, including several custom cast bronze pieces.